I always have this notion that we come full circle as a Christian during this year-end celebration called Christmas. Albeit the craziest season of the year with all these rushed year-end reports, decorating and lighting up trees, shopping here and there, people rushing to and fro – it’s also a season where we re-think of our priorities, share our time and extras to those who aren't feeling so well, especially children, cheer them up and make them feel loved and important. 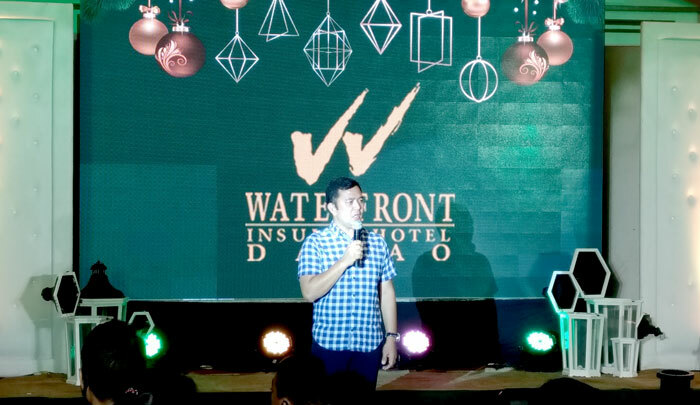 This year, we see this unfold as Waterfront Insular Hotel Davao shares its time and love with the children of the House of Hope Foundation as they celebrate the beginning of the wonderful season of the year by lighting up the tree and treating the recovering children to a night of fun, excitement and entertainment. 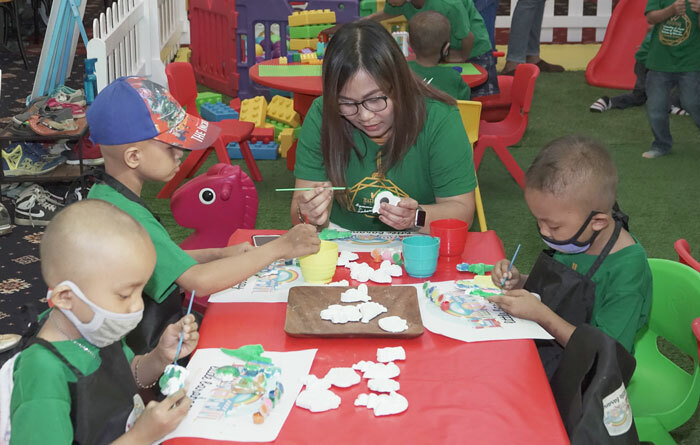 “It gives us great pleasure to be able to weave wonderful memories for these children with every theme and every element of surprise,” said Hotel Manager, Bryan Yves Lasala. I'm so thrilled to know that this year also marks a decade of the foundation as the beneficiary of the hotel. led the lighting of the hotel's 'Modern Holiday' tree on Thursday. 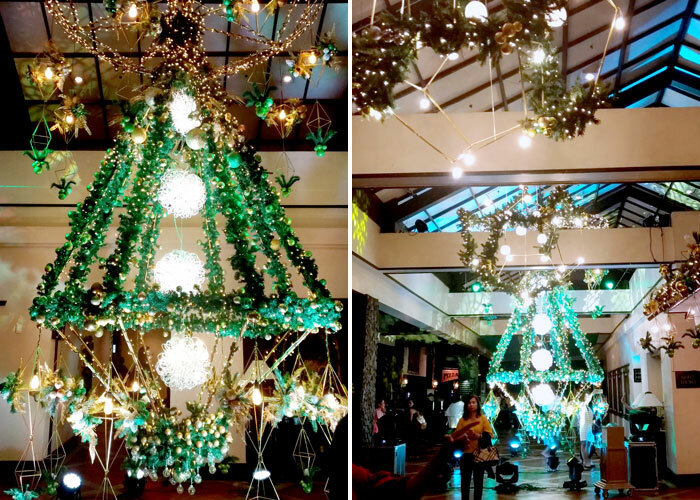 Waterfront Insular Hotel Davao put up a massive floor to ceiling geometric iron lantern tree this year. It’s decked with lights and green Christmas frills to every children’s delight. 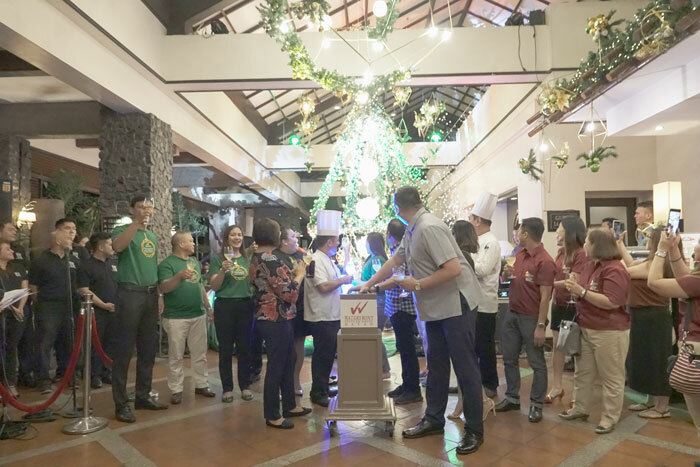 The ceremonial tree lighting of what make up ‘’A Modern Holiday” at the hotel was attended by Gene Rose Tecson, the Officer-in-Charge of Davao City Tourism Operations Office, Frederick Rubinos, the President House of Hope Foundation. 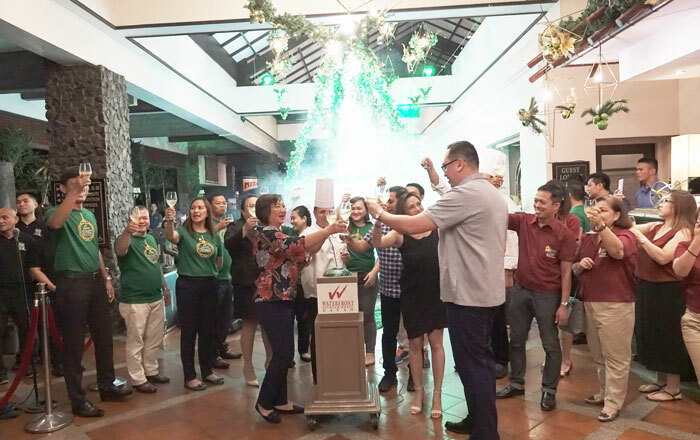 Also present were the Management Team of Waterfront Insular Hotel Davao and Corporate Officers of Waterfront Hotels and Casinos who raise glasses to bring in good tidings and cheers for the season. Cheers to a wonderful 2018 Christmas! Guests were then ushered to the Grand Agila Ballroom to take part in what Chefs Giovanni Sias and Anthony Ante has prepared for the night. Everyone enjoyed an exquisite Lauriat dinner with soup and soft rolls; Kare-Kare Ravioli and Bangus Sushi Roll among its appetizers; Roasted Chicken Americaine, Confit Pork Belly and Ratatouille for its main courses. An assortment of mini cakes on three-tier racks was brought out to the turntable center for a delectable end part of the dinner. 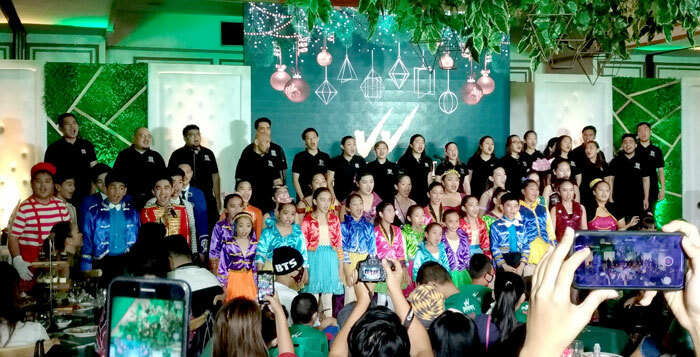 Among the highlights of the event were the harmonious performances of the Himig Singers of Davao, theatrical repertoire of Songspell Philippines, a musical production by Siningtala, a pledge for hope and finally a thanksgiving from the Kids of Hope themselves as they sang a piece titled ‘Salamat’. 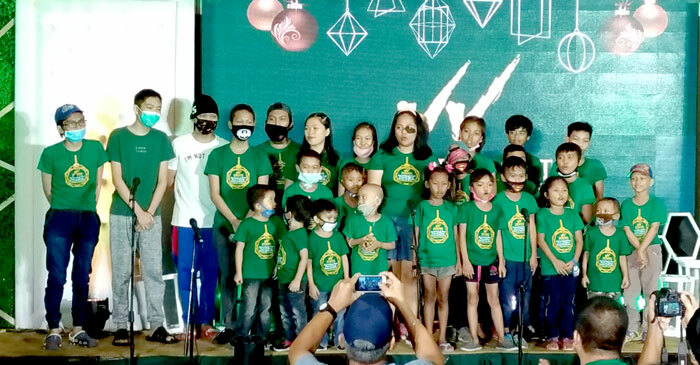 The kids also enjoyed a playhouse, arts and crafts by the Little Barangay Mobile Party Playpen Davao, mascot appearances, giveaways from Zonta Club and the Rotary Club of Davao, holiday gifts from Waterfront Insular Hotel Davao and some treats from Santa Claus. 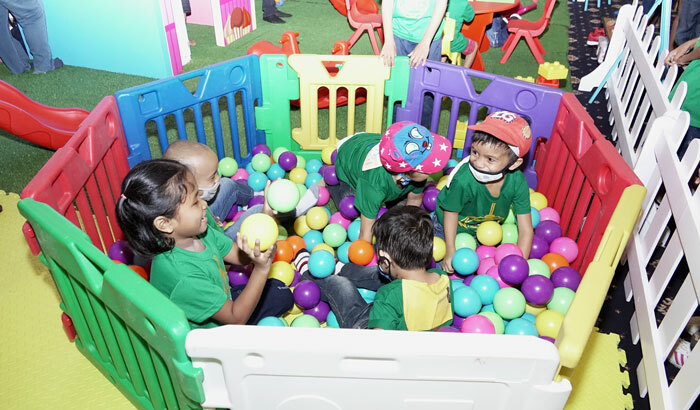 Kids of the House of Hope Foundation singing "Salamat"
Portable playpen was set-up at the Grand Agila Ballroom for the kids to enjoy. Kids of the House of Hope Foundation having fun coloring. 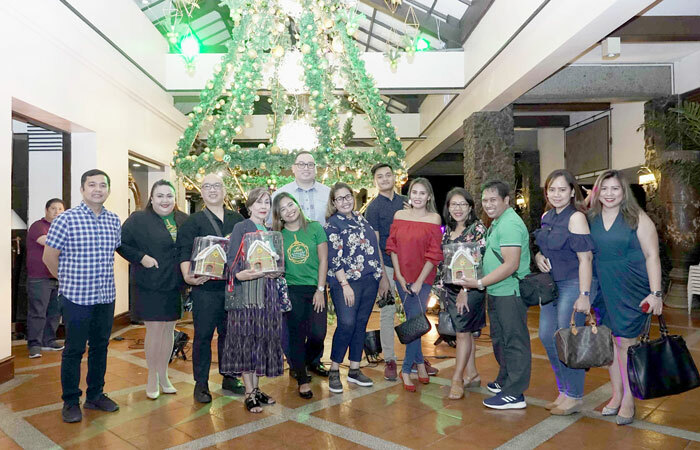 Believing in the true spirit of Christmas and in the hotel's efforts to share the holiday cheers to its beneficiaries, Waterfront Insular Hotel Davao invites guests to make room for a cause and help raise funds for the children of the House of Hope's treatment. Part of the proceeds from Suite room stays for the whole month of December will benefit the foundation. There are more ways than one to share your love for these children this Christmas, booking a suite at Waterfront Insular Hotel Davao is surely one of them. 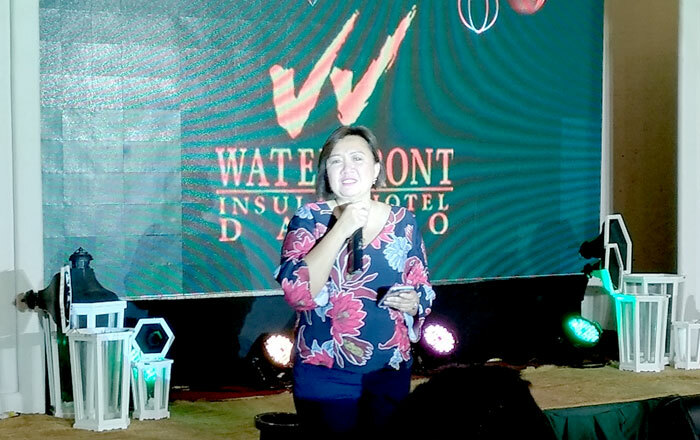 Photos by: Waterfront Insular Hotel Davao Comms.